LAB Vodka is unique in many ways. LAB Vodka is locally made here in South Florida, being distilled in Riviera Beach. LAB Vodka is made from 100% Yellow corn, with no chemicals being added to its makeup. LAB Vodka is made from high quality restaurant grade corn vs feed corn that the majority of our competition uses to make their Vodka. LAB Vodka is gluten free, organic, and is OK Kosher certified. We distill our Vodka 18X’s, which adds to the purity and smoothness of our Vodka. Our Vodka is 100% handcrafted, hand filled, and hand sealed. LAB Vodka performs under a small batch operation allowing the Vodka to maintain all of its high quality ingredients. 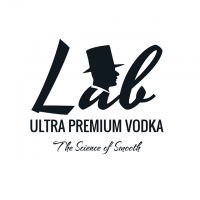 LAB Vodka can be purchased in West Palm, Broward, and Miami Dade counties. Please check us out on Facebook @ LabVodka, and www.labbeverage.com.